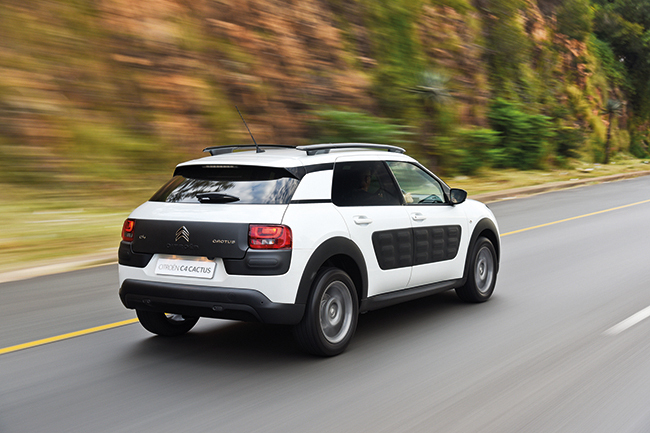 If there was concern that Citroën had lost its pioneering spirit, the Cactus is proof of the converse. Out of nowhere, the idiosyncratic French brand has added a refreshingly different take on the family hatchback, creating a car with a unique persona and a look and feel unlike any other. That’s easier said than done in this day and age, with everyone claiming to be ‘innovative’ – a particularly overworked term in the motoring world. The Cactus’s prime innovation, and the inspiration for the name, is the automotive equivalent of bubble wrap. They are quite literally protective air bubbles, capable of fending off wayward trollies, and more. 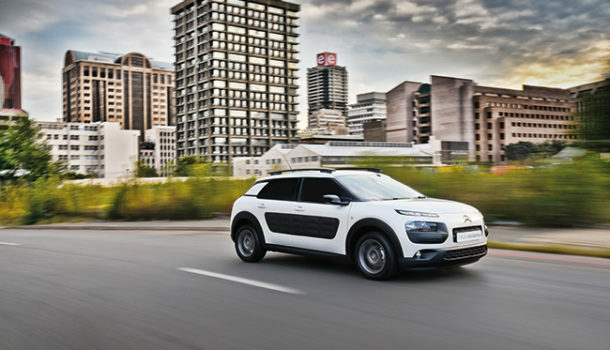 Just as a cactus uses its spikes for protection, the Citroën’s exterior airbags keep enemies at bay, the exoskeleton theme extending to the plastic-rimmed wheel arches. Plus, the approach and departure angles would be a credit to most soft-roaders. The suspension is supple and the tyre sidewalls quite tall, to aid in soaking up the bumps. As a result, the Cactus can be driven with confidence on imperfect roads. The car is unashamedly designed with congested cities rather than fast-flowing freeways in mind. The geometric shape, with appropriately rounded corners, just bursts with character. And, unlike many other modern vehicles, the glasshouse is generous and the A-pillars quite upright, so the driver has the sensation of being in command of their surroundings. And this despite it being slightly lower than a C4 hatch. The clever design goes beyond being slightly startling to look at. There’s also some inspiration under the bonnet: the little triple is exceptionally lively and the offbeat thrum accompanying full-throttle acceleration is endearing. It gets by quite nicely with just a five-speed box and the gearing is a fitting mix between relaxed cruising and responsiveness. One of the objectives for the Cactus, beyond the regular C4, was to make it lighter. As such, it weighs in at just over 1 000 kg. This aids not only acceleration, but also overall throttle response – not to mention braking. It never felt wanting and was mostly very smooth – though from Eco mode (a stop-start function that saves fuel in traffic) it does burst back into life rather vocally. Real-world consumption en route to Askari Lodge in the Magaliesberg dropped close to 5 l/100 km – just one of the pleasant realities of living with the Cactus, along with exceptionally comfortable seats and a commanding driving position. There is generous passenger accommodation too, thanks to a long wheelbase. ‘Simplicity’ is the keyword when it comes to the interior, and there are few distractions. In front of the driver is a digital speedometer and not much else, with stalks for the usual driving ancillaries. 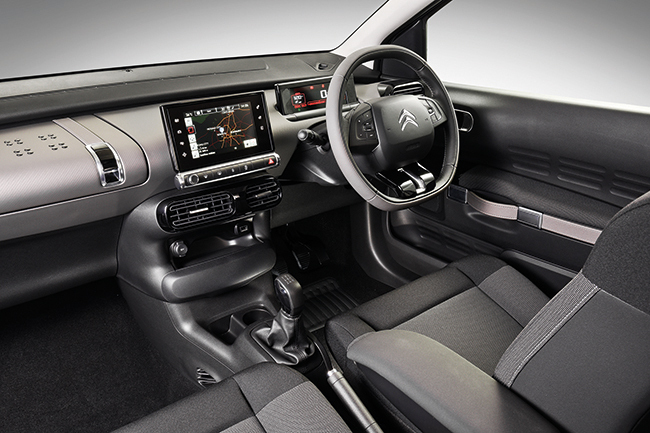 Just about everything is controlled via a touchscreen set on the centre console. 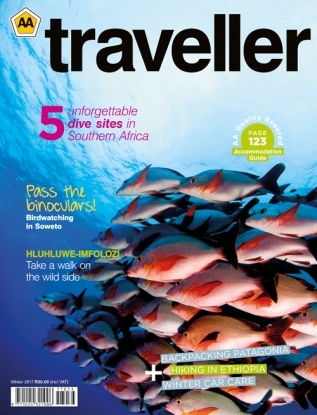 Satellite navigation (which gave us the novel option of an Eco route to Askari!) is a feature unique to the Shine specification level, making it the flagship of the three-derivative range. There’s plenty to love about the Cactus, and little to dislike. But the best thing? It’s charming to live with and (assuming you’re a fan of its quirky looks) pretty darn cute too.